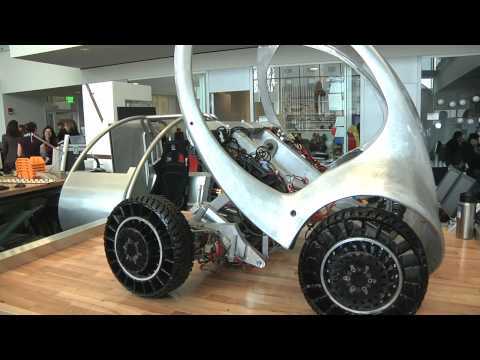 A team at the Massachusetts Institute of Technology have been designing collapsible, stackable electric vehicles that owe their flexibility and cheapness to a revolutionary new drive system known as in-wheel motors. This video also includes the “Green Wheel” a new concept wheel for bicycles which is about to be released. The Green Wheel has a central motor surrounded by Lithium Iron cells & a control system, all built into a single disk unit capable of fitting most bikes. No other wiring or battery required.